Imagine if genetically engineered crops could contaminate conventional and organic fields through transfer of pollen or even virus. Now consider the implications of random, unintended gene transfer crossing from the Plant Kingdom to the Animal Kingdom. Finally, think about the after-effects of a transgene promoting resistance to toxic herbicides, like Glyphosate, the primary chemical applied to a growing number of crops throughout the United States – including residential lawns in the form of RoundUp. This is not fiction. This is a runaway train fueled by profit-seeking and misdirection. If we don’t stand up as a people and pull up the tracks right now – rail by tie across our nation – it will continue to pummel our legislators’ regulatory authority. We have already discovered damning evidence of transgene contamination in a wide range of agriculture. Researchers have also found proof that transgenes can cross from plant life to animal life harming the sensitive gut micro biome and resulting in disturbing health effects. Know that despite the agriculture industry claims of GMO innovations being created to reduce the use of pesticides and herbicides, the reality has instead amplified the application of such chemicals. Recently, the EPA ruled in favor of increasing Glyphosate levels in edible crops as petitioned by Monsanto without regard to public disapproval or safety. In fact, the EPA approved regulatory increases that were 15 to 25 times the previous levels without any independent safety research or queries! They just took Monsanto’s word for it! These lax policies continue to lay groundwork for increasing health problems from autism to Alzheimer’s, celiac disease and food intolerance, as well as other auto-immune disorders. 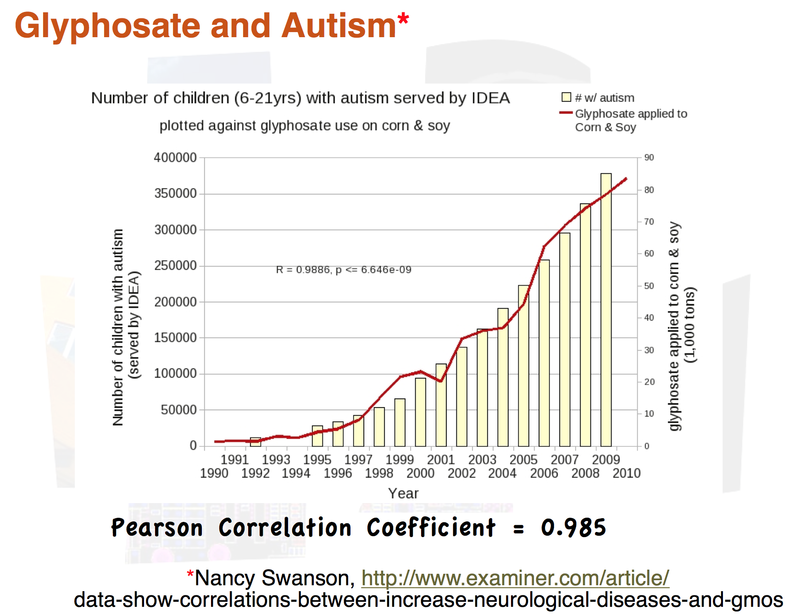 It’s true that correlation does not necessarily equal causation, but Nancy Swanson’s statistical graphs paint such a strong picture it’s hard to deny the potential. The rise of GMO foods has resulted in the increasing use of Glyphosate herbicides. When this data is overlapped with autism prevalence rates the correlation is astonishing. To see more of Nancy’s statistical analysis, access her full report as archived on Dr. Stephanie Seneff’s MIT page here. Today, successful biotech companies are vying to launch GMO salmon, GE mosquitoes, and even genetically modified grass and trees. I wish these truths scared more people. I wish they rattled them in their core as deeply as a missed touchdown or unexpected sack during the Super Bowl does diehard football fans. But alas, here I sit on Transgene Island wondering how any corporation could be trusted to maintain contamination control of unregulated “RoundUp Ready” Kentucky Bluegrass, genetically engineered mosquitoes to be released in the Florida Keys, or even innovative GE trees in the Pacific-Northwest. Can we escape the pre-emptive damages if the TPP gets congressional approval for Fast Track Authority? 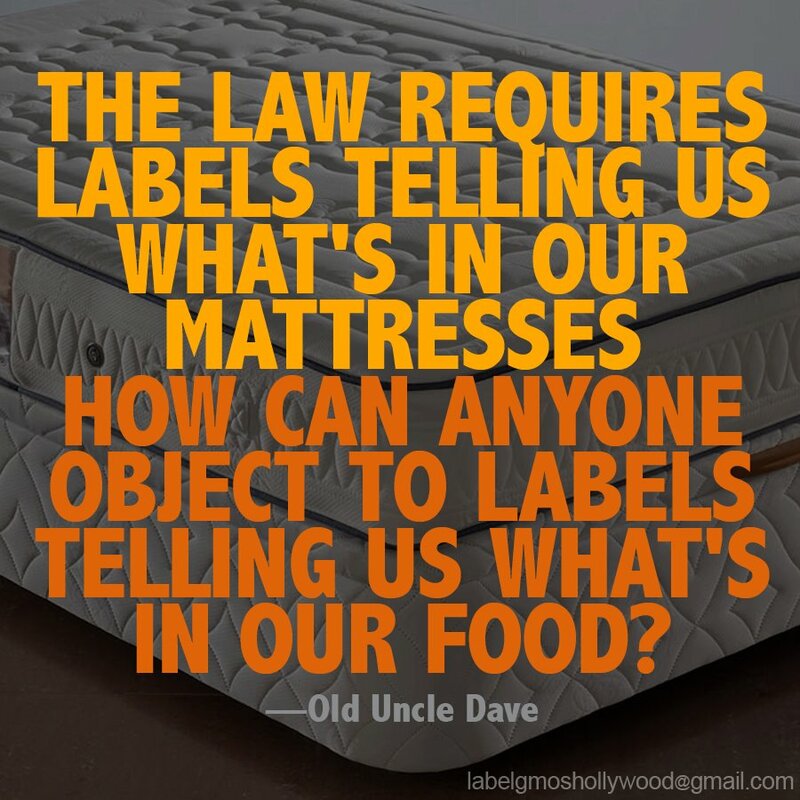 Will our state leaders fighting for GMO labeling continue to stand up when corporate giants like Monsanto threaten states’ rights to mandate regulations by lawsuit? Kauai is coming together and fighting to restrict GMO testing as well as the use of experimental pesticides and herbicides. Perhaps they will inspire more of us to make the necessary calls to government leaders, file comments with the EPA and FDA for relevant rulings, and continue to share growing knowledge about the damages caused by the biotech industry’s blatant disregard for safety and health. Watch Dr. Stephanie Seneff’s Presentation on the harmful effects of Glyphosate, “Roundup: The Elephant in the Room.” Fast-forward to 19:43 for an enlightening explanation of the adverse effects of this toxic chemical in plant life as well as the human body. Get tested for Glyphosate in your water and body through a lab sourced by Moms Across America. Learn more about GMO basics in my earlier post GMO 101. Understand how labeling presents no hardship to food manufacturers – read Truth in Coding.